Tarija or San Bernardo de la Frontera de Tarixa is a city in southern Bolivia. Founded in 1574, Tarija is both the capital and largest city within the Tarija Department, with an airport (Capitán Oriel Lea Plaza Airport, TJA) offering regular service to primary Bolivian cities, as well as a regional bus terminal with domestic and international connections. Its climate is Mediterranean (similar to the Bolivian cities of Cochabamba and Sucre), in contrast to the harsh cold of the Altiplano (i.e., La Paz) and humid heat of the Amazon Basin (i.e., Santa Cruz de la Sierra). Tarija has a population of 234,442. Although in the local imagery the name of Tarija is said to come from a certain Francisco de Tarija or Tarifa, researched information disproves that probability. The valley, of where present-day Tarija is situated, was identified as "Tarija" and shared an articulation similar to its current pronunciation, prior to Spanish expeditions and occupation. In testimonials by members of the first group of Spaniards entering the Valley, the name of Tarija was already mentioned. This group did not include anyone by the name of Francisco de Tarija. One should also note that similar sounding toponyms exist for surrounding places, such as Tariquia and Taxara. Tarija was claimed by Argentina until 1899, when it renounced its claims in exchange for the Puna de Atacama. The valley Tarija is situated in was first occupied by Western Hemispheric indigenous groups, such as the Churumatas and the Tomatas, among others. Subsequently, the Inca Empire – administered by the Quechua civilization – conquered the land and dispersed the Churumatas and other local groups over wide territories of the Andes. Mitimaes is the Quechuan name that the Incas used for the resisting ethnic groups they uprooted and then dispersed geographically. When the Spanish first arrived to the valley of Tarija they encountered several stone roads, most likely the remnants of pre-Incaic cultures, such as that of the Churumatas. However, during that period, the presence of indigenous peoples remained sparse within the valley. Several of the pre-Incaic roads and trials have been preserved, and currently function as a walking trail for Tarijenos. 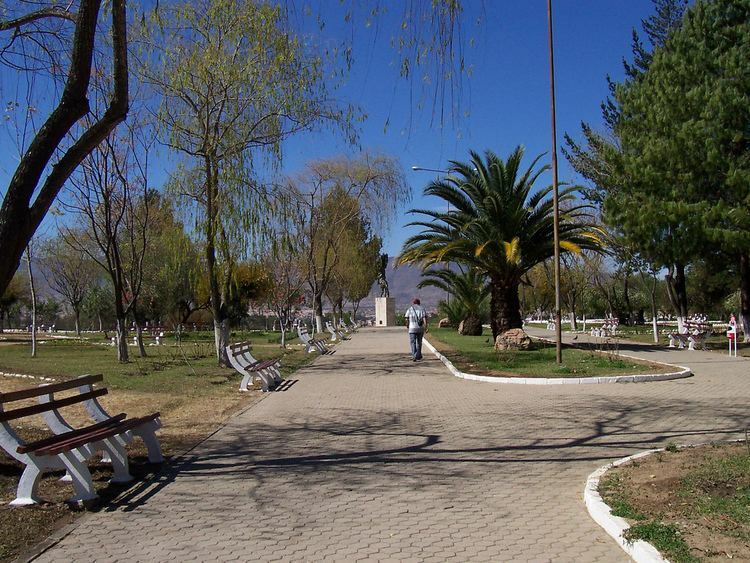 Tarijas main plaza is regarded as a picturesque and pleasant place to take a break or stroll around. The plaza is surrounded by restaurants of various cuisines, local handicraft shops, and internet cafes. 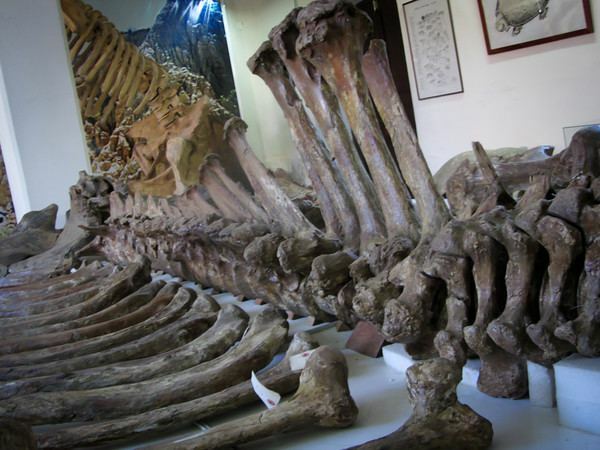 Within immediate walking distance is the public market, a university campus, and a number of sights including the renowned Paleontology Museum of Tarija City. The public water supply, while still not potable by North American or Western European standards, is relatively clean in contrast to other Bolivian cities of equal or larger size. High-quality restaurants, such as El Gattopardo and Cafe Mokka, as well as fast food restaurants like McRonalds, Kukis, and Homeros service the city. Tarija is also known for its youth entertainment, like the famed Plazuela Sucre, which attracts young people from all over the area. Tarijas nightlife is popular with tourists, like its dance clubs Vertigo and Bunker,. From Tarija, primary destinations and land routes coincide with the cardinal directions: Paraguay/the Gran Chaco, to the east via Yacuiba; Argentina, to the south via Bermejo, Yacuiba or Villazón; Tupiza/the Salar de Uyuni, to the west via Villazón; and the central cities of Bolivia, to the north via Potosí. The route to the altiplano and Potosí is much safer, as of December 2012. A new tunnel bypasses Sama, the mountain just west of the city of Tarija. Tarijas land and climate are adequate for grape and wine production. The Festival of Wine is held annually in Tarija. The San Jacinto Dam is located a few kilometers south of Tarija. Also, the Chorros de Jurina falls, located a few kilometers from the city, is an enjoyable and popular local outing.